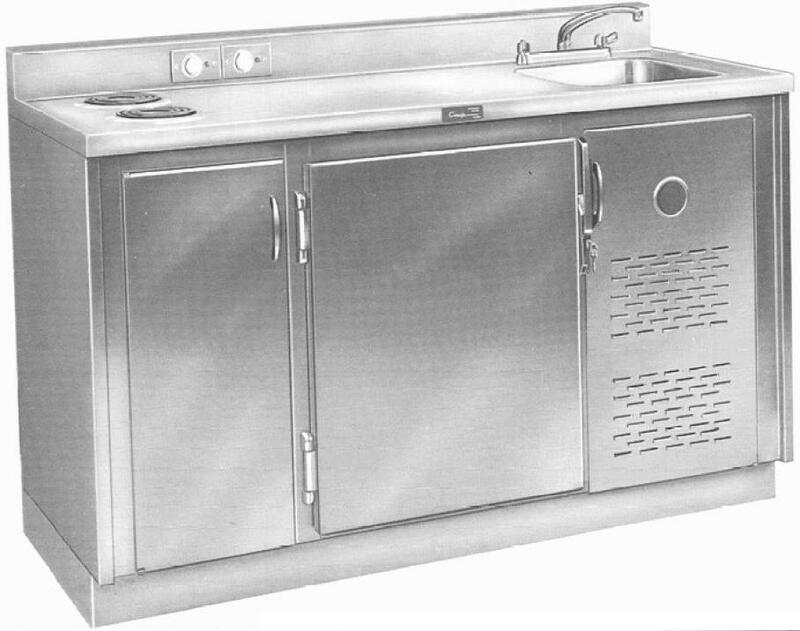 Continental Metal Healthcare specializes in Stainless Steel Medical Refrigerator Sink Cabinets. CMP offers many combination Hospital Sink Refrigerator UnitsCMP Refrigerators are high quality stainless steel combination cabinets and working units. Our Refrigerators have been designed for the storage and functional requirements of the hospital and emergency room environment and have evolved into the industry standard for this application. CMP has been building high quality stainless steel Refrigerators for over 65 years and they can be found in almost every hospital in the U.S. and can be configured for your unique requirements. CMP Refrigerators are constructed of type 304 stainless steel with No. 4 finish. Welding is done by the Heliarc process. All exposed welding is ground and polished to match the No. 4 finish. CMP Refrigerators are equipped with two stainless steel adjustable shelves (either perforated or wire rack). Cooling is provided by choice of integral “cold-wall” or blower-coil construction, incorporating foamed-in-place urethane insulation. Refrigerator is equipped with 1/5 hp, hermetically sealed compressor and timed self-defrosting circuitry (5-year warranty on compressor). The refrigerator’s capacity is 4.5 cu. ft. (127 liter), has automatic self-defrosting, and is of double-wall construction and is fully insulated with urethane foam-in-place insulation. The refrigerator door is of No. 20 gauge stainless steel and has an edge-mounted latch and lock. 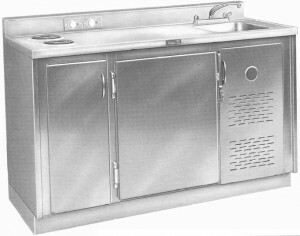 CMP Refrigerators include a stainless steel counter top coved at the rear. Hot and cold water faucet is provided. CMP Refrigerators include a spacious storage area located under the counter with stainless steel shelf for storing bulk items.